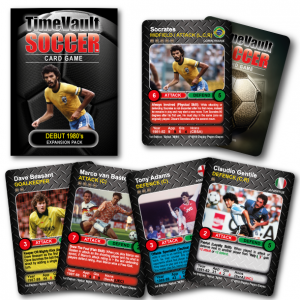 Bring on the 1980’s… Expand your universe and go multi-player with this 80’s expansion deck. 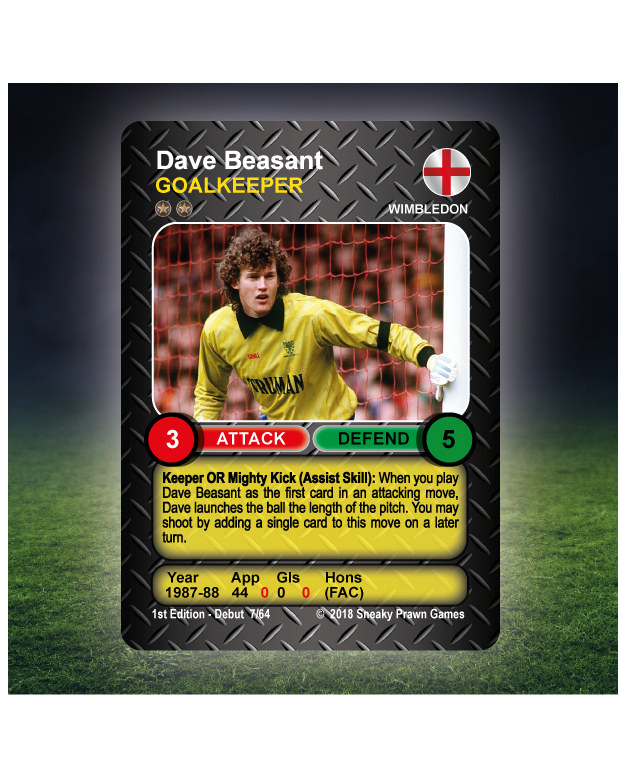 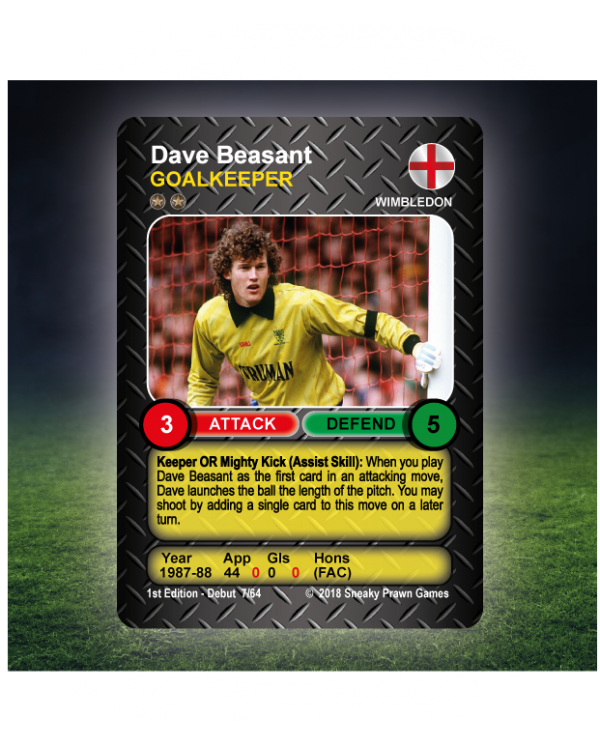 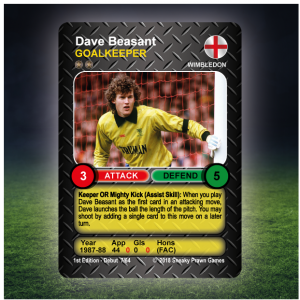 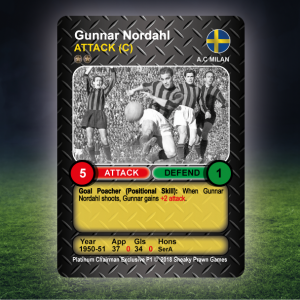 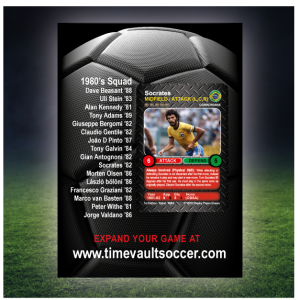 Contains an additional squad to add another player to your league or tournament. 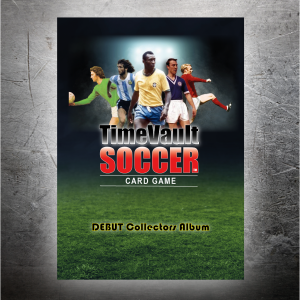 For use with Debut 60’s vs 70’s starter set. Designed to enable you to expand your Time Vault Soccer universe and/or include another player in your game. 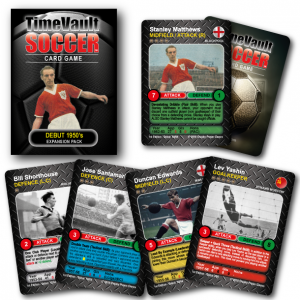 Combine with the “Debut 60’s vs 70’s” 2 player starter deck for a 3 player game or add the 1950’S expansion too for a 4 player tournament or league. 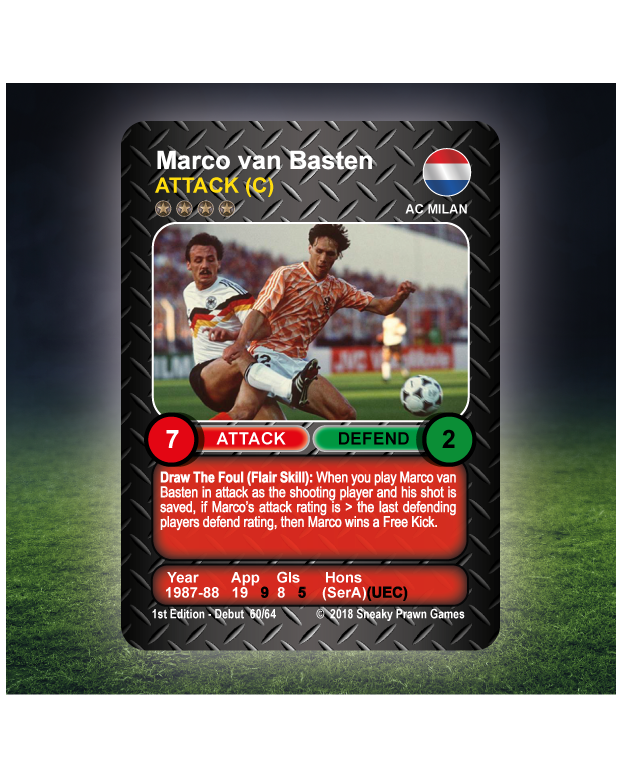 From the decade that saw Italy muscle their way to World Cup glory, the Netherlands explode their way to European triumph… and Arsenal perfect the offside trap. 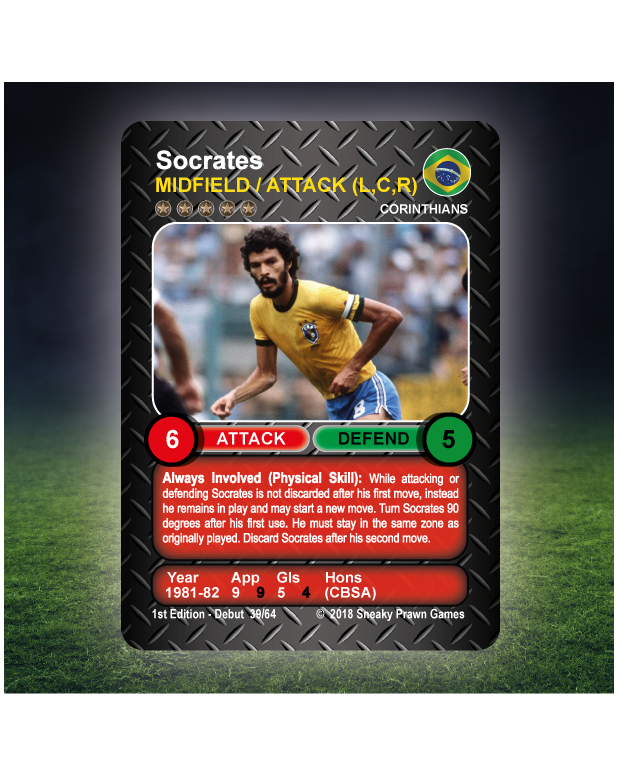 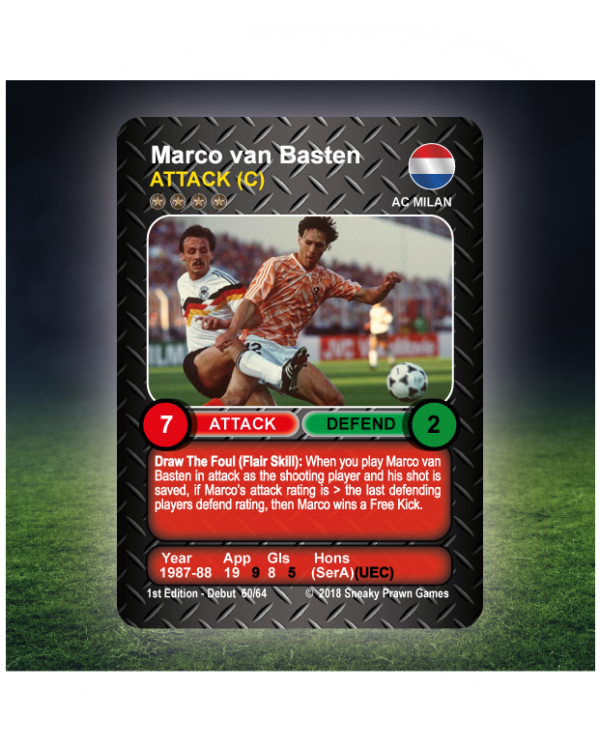 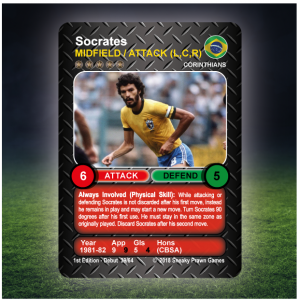 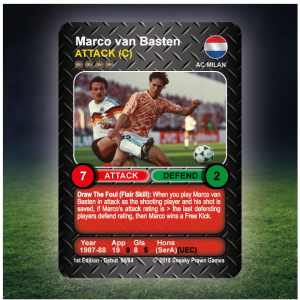 “Debut 1980’s” expansion deck comes ready to play with 16 football Legends from the 80’s. 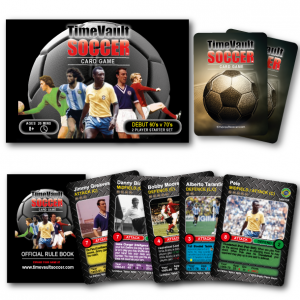 Contains: 16 pairs of football Legends (32 cards).